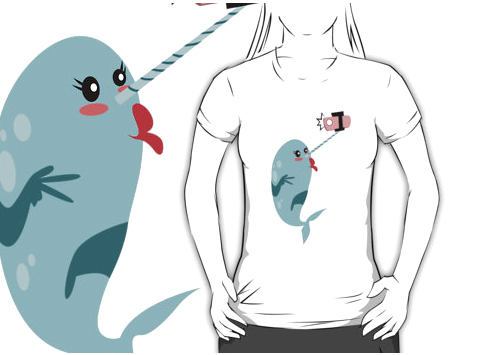 Did you know that the tusk of the narwhal is actually a canine tooth that projects through the lip in a helix? The cartoon appears on my Gocomics page today. 'Narwhal Selfie' t-shirts for women are available from my store here! Wow !!! 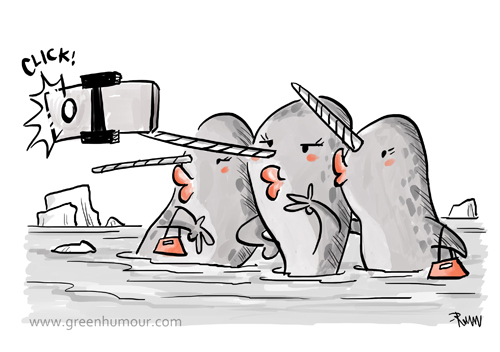 Nature's own selfie stick, I must say !